If you are looking for an opportunity to exercise outdoors, use various types of equipment, utilize all the muscles in your body to experience a functional and innovative approach to fitness, you have found the right place. Sickfit Bootcamp sessions use functional, high rep, low weight exercises to keep your heart rate up, yet tone and produce a high calorie burn experience. SickFit's founder, Judson Sickler, is a physical education teacher at Cupertino Middle School where he is very passionate about promoting and exposing his students to the value of lifelong fitness and healthy habits. As a result, his mission in forming SickFit Bootcamp was to start a community based fitness program servicing the adults as well. A child's health and habits are proportional to the adult role models in their life- EVERYONE BENEFITS. SickFit has grown and is continuing to build a fit community where we work together as a team to help support each other in achieving fitness goals by providing a low cost, unique, highly effective, and well-rounded fitness experience to every participant by integrating functional movement, innovative exercises and diverse formats- all targeted at improving overall fitness in the areas of cardiorespiratory endurance, muscular strength, agility, speed, balance and flexibility. SickFit Bootcamp offers approximately 16 early morning weekday bootcamp sessions a month in addition to 75 minute bootcamp classes every Saturday at Cupertino Middle School in Sunnyvale, CA. Each session incorporates various formats that utilize a warm-up, exercise and cool-down component and are modified for ALL LEVELS OF FITNESS. THERE IS NO REASON TO FEEL INTIMIDATED, ALL CLASSES WILL CHALLENGE YOU AT YOUR ABILITY. Weekday classes are MWF from 5:45-6:45am and Saturday Classes are 75 minutes from 7:30-8:45am all at Cupertino Middle School located at the Los Altos/Sunnyvale border at Homestead and Bernardo. For a full schedule of all classes offered, click the calendar HERE. SickFit also offers TRX Suspension Training Classes have been added every other Monday. ​Each Bootcamp class has a different purpose and format. To see a brief description of the classes offered and equipment required, click HERE. Because SickFit does not charge a monthly fee, you are not obligated to attend all of the classes every week. You can pick and choose what works for you. If you have any questions, feel free to send an email to sickfitbootcamp@gmail.com. SickFit Bootcamp offers 16 or more classes a month ranging from full equipment circuits to Bodyweight classes to specialized classes like Battle Rope and TRX Suspension Training. To read about how the days and workouts are structured as well as equipment that I recommend that you purchase, click HERE. SickFit prides itself on its unique and diverse program design- creating a workout experience that feels different all the time. 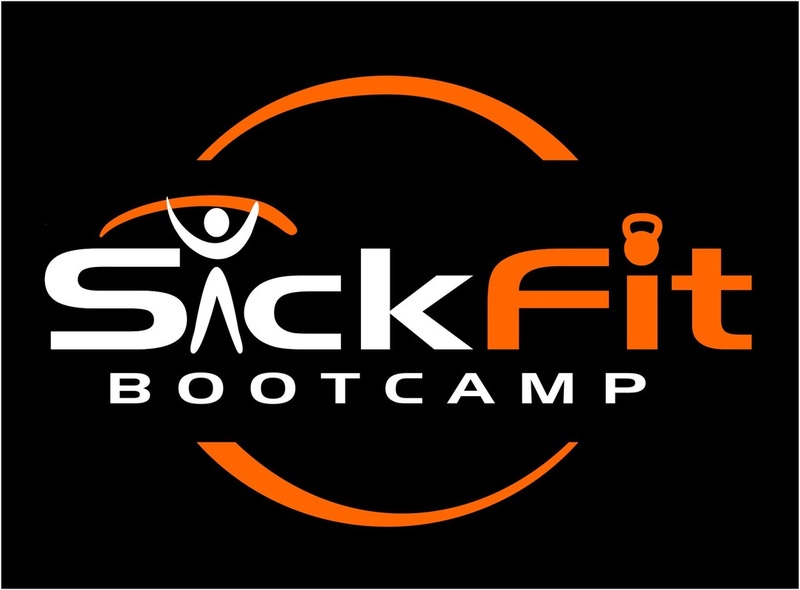 SickFit offers very competitive and affordable rates for bootcamp classes- as lows as $10/class. SickFit DOES NOT charge an initiation or monthly fee and instead has a "pay as you attend" structure where you purchase punch cards. Every time you attend a class, you punch your card. SickFit offers a Community rate, a discounted Teacher/School Employee rate and a very cheap Student rate. SickFit also offers speciality punch cards for Saturday, TRX and/or Battle Rope only classes . Click HERE to see a breakdown of all the possible options. I combined my two hobbies of Fitness and Video Production to bring a free and unique product to my Bootcamp Community- 15 minute Bodyweight Home Workout videos. These are very well produced and easy to work out to. All you need to do is have some type of internet connection when you are working out and you can stream these videos to your Tablet, Smart Phone or TV. I do the rest. Most of the exercises in these videos are Bodyweight and can be done in a small space. All you need is a mat and water bottle. There is a printable sheet that goes with each workout. All you have to do is find 15 minutes on your off days and you have an amazing 5 day weekly fitness program. You won't find other Bootcamps out there providing this "virtual" Real Time experience. To subscribe to my Fit In 15 YouTube Channel, click HERE. For all of the Fit In 15 Videos and printable resources, click HERE. If you start using these, please email me and let me know they are working for you. All feedback is welcome. 1. Try out your first class for free!!! 2. Before you attend your first class, fill out this Registration Form. If you have trouble filling this out, please send me an email. 3. Please rad this Release of Liability Form. You will sign an electronic copy of this at your first bootcamp. To read more about Sickfit Bootcamp Liability, click HERE. 3. If you choose to stick with the bootcamp and try it out, buy a punch card (there are a few options), a mat and a set of dumbbells. Click HERE to see other equipment it is recommended that you purchase. 4. Sign up for the classes you want to attend online. 5. Punch as you use, as simple as that!!! Incorporating Bootcamp training is a great way to supplement other types of fitness you are currently doing as cross-training or, if you are brand new to fitness, bootcamp exercises are a great way to expose you to functional and creative ways to train. The bootcamp structure incorporates high intensity, low weight, high rep exercises that burn a lot of calories quickly and increase your overall metabolism, decrease body fat and increase lean muscle mass. In addition, this particular bootcamp is built with a community model in mind so you get the added benefit and motivation of working out in a group with likeminded goals in mind. To help me better plan my classes, I recommend that you sign up AT LEAST 24 hours before the classes you want to take. Ideally, you will sign up for the week. ***For your first session, please show up 10 minutes early to fill out paperwork, answer some questions and orient yourself to the class!!!! For weekly updates, photos, videos, fitness links, comments and more click HERE and "like" this page on Facebook. Please share this link with friends. Building a fitness community requires your help. See what others are saying about this Bootcamp on YELP. If you have been taking the Bootcamp sessions and want to write a review, I would appreciate the feedback. I have access to a couple indoor facility options. As the weather changes and I have to predict that outside weather is not suited for a class, I will send out emails and FaceBook posts 24 hours in advance letting you where class will be held. Very seldom do I have to cancel a class, but, if an indoor facility is not available, I will have to. You can always email me if you suspect weather will be bad and you are not sure what the plan is.